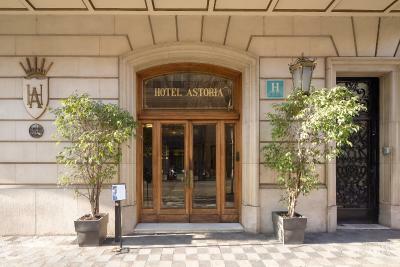 Lock in a great price for Hotel Astoria – rated 8.6 by recent guests! Room was nice and spacious. Decor very nice. Staff was helpful. The hotel was very clean. It was very central and we could walk everywhere, we didn't need to take any buses or metro. It was not noisy at all and we got a good nights sleep. The beds had wheels under them and kept moving a bit at night, but that wasn't much of an issue. The beds were small so wouldn't be comfortable for a large person. Overall comfortable stay. Helpful staff. Very clean hotel. Good location. Value for money. 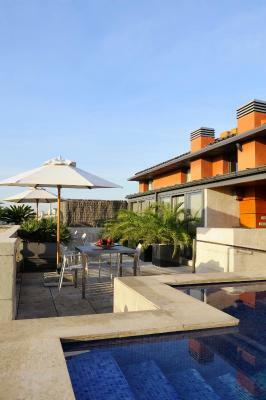 Excellent location, great views of Barcelona from the top floors. The staff was extremely friendly and helpful. Beautiful hotel. The room was very clean and quiet. The staff was friendly and helped us out where they could. We had a half-full bottle of camping gas with us, which the staff disposed for us. Without their help, we would have had to find an outdoor store to dispose of the bottle. 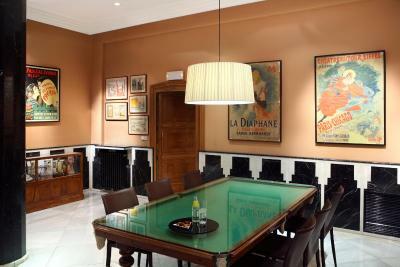 The location is also good, ~100m from Diagonal and few hundred meters from La Rambla. Really like the location and staff at the hotel. It’s very centrally located but unlike La Rambla, you don’t see that many tourists but have a lot of good restaurants and shops. The staff was also very friendly and professional who showed great customer service. Great room great shower and proper working air-conditioning! Location! Rooms! Rooftop! Staff! All amazing and such high value for such a great price! 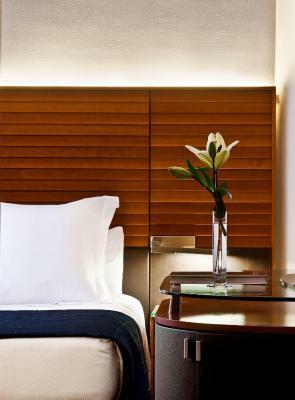 Hotel Astoria This rating is a reflection of how the property compares to the industry standard when it comes to price, facilities and services available. It's based on a self-evaluation by the property. Use this rating to help choose your stay! 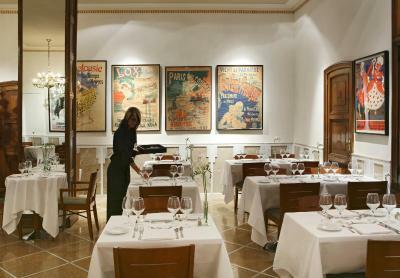 Astoria is just off Barcelona’s Diagonal Avenue, a 5-minute walk from Diagonal Metro Station and Paseo de Gracia Avenue. 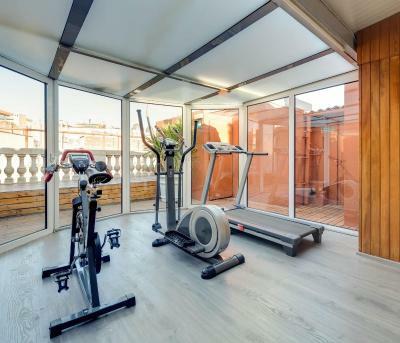 It features a rooftop pool with views, and a gym. 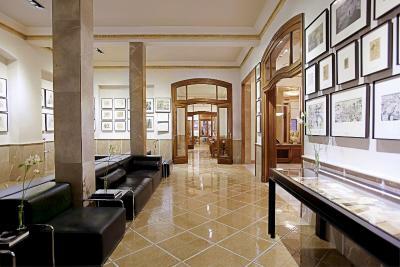 The Astoria Hotel combines original Art Nouveau features with modern facilities. 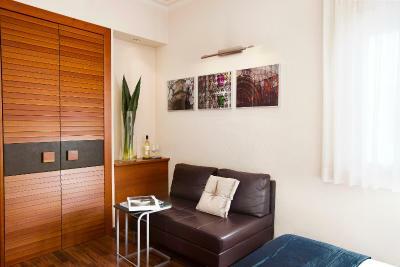 Air-conditioned rooms have satellite TV, a safe and mini-bar. 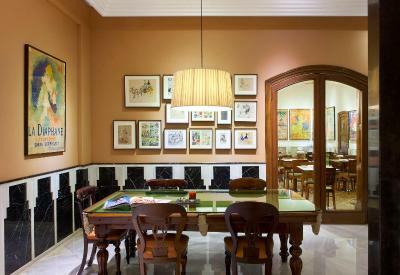 They feature wooden floors and free Wi-Fi, and the modern bathrooms come with a hairdryer. 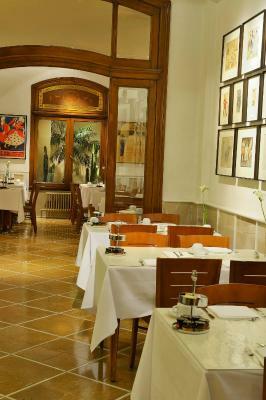 The restaurant at the Astoria offers traditional Catalan cuisine, and room service is available. There is also a terrace and a bar. There is a 24-hour front desk and you can hire a car. Parking is available for an extra charge. 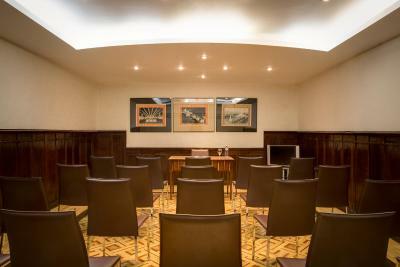 When would you like to stay at Hotel Astoria? 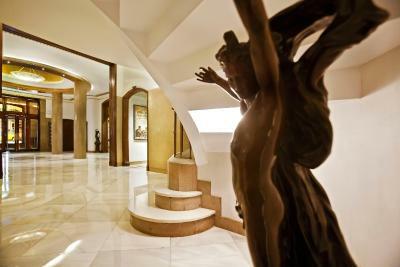 Air-conditioned rooms with satellite TV and minibar. 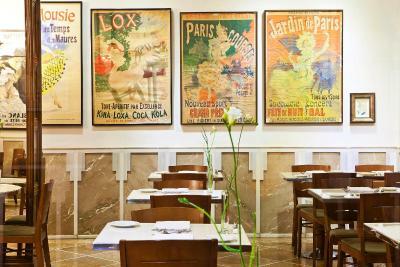 They overlook París Street or a large interior courtyard typical of the Eixample district of Barcelona. Private parking is available at a location nearby (reservation is not needed) and costs EUR 26.40 per day. 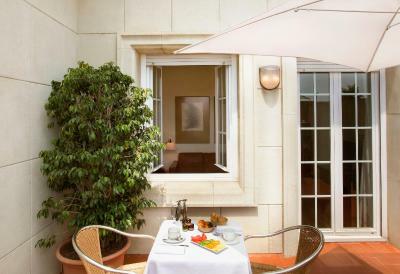 Elegant rooms feature modern décor and boast views of the light-filled interior courtyard, characteristic in the city’s Eixample district, or to the Paris Street. 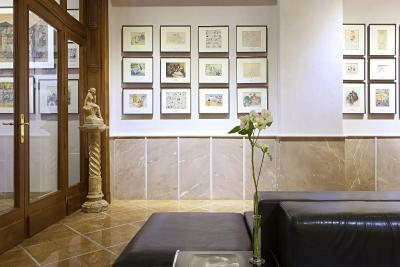 The Astoria is a classic amongst Barcelona’s hotels. 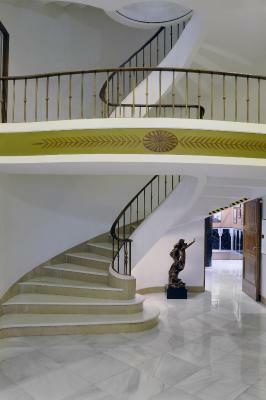 With architecture from the turn of the XXth century. 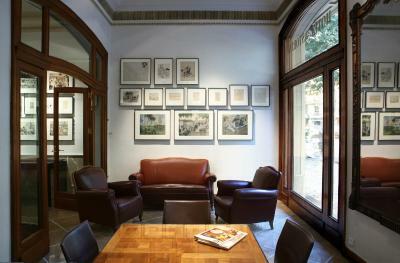 It is also home of the work of Catalan illustrator Ricard Opisso. 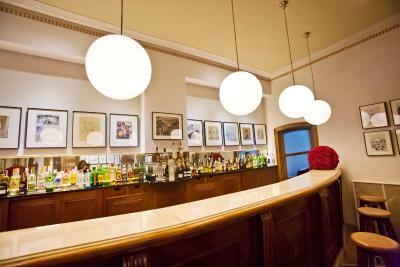 House Rules Hotel Astoria takes special requests – add in the next step! All children under 12 years are charged EUR 66 per night for extra beds. Hotel Astoria accepts these cards and reserves the right to temporarily hold an amount prior to arrival. The doonas on the bed mean that you have to have air conditioner turned down very cold to be able to sleep under a cover. No options for a light blanket. This is a problem at most hotels now. Air conditioner blew air straight on my face. Quiet room, comfy. Great location for walking to Gaudis buildings . 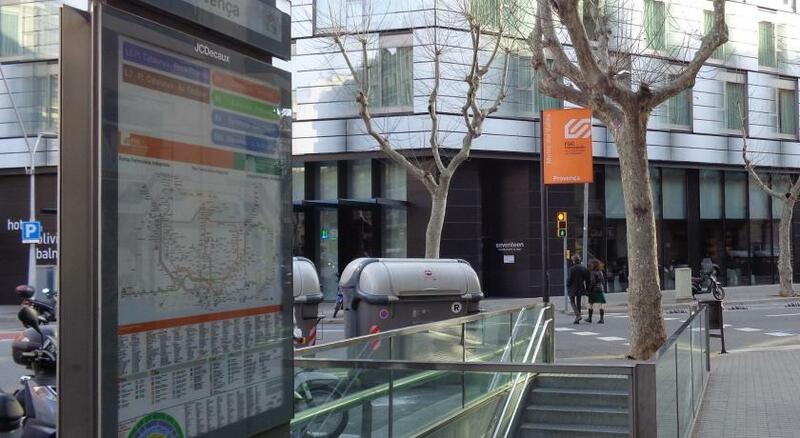 Easy to reach metro stop Diagonal. 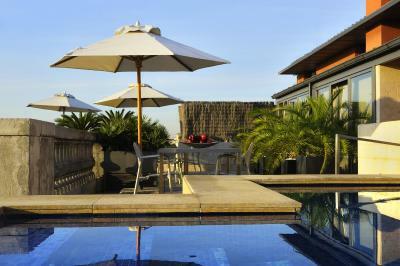 Great location, very nice hotel and very good value for money. Highly recommended! Location seemed to be a bit away from main attractions. Clean and luxury standard , good price and excellent service. 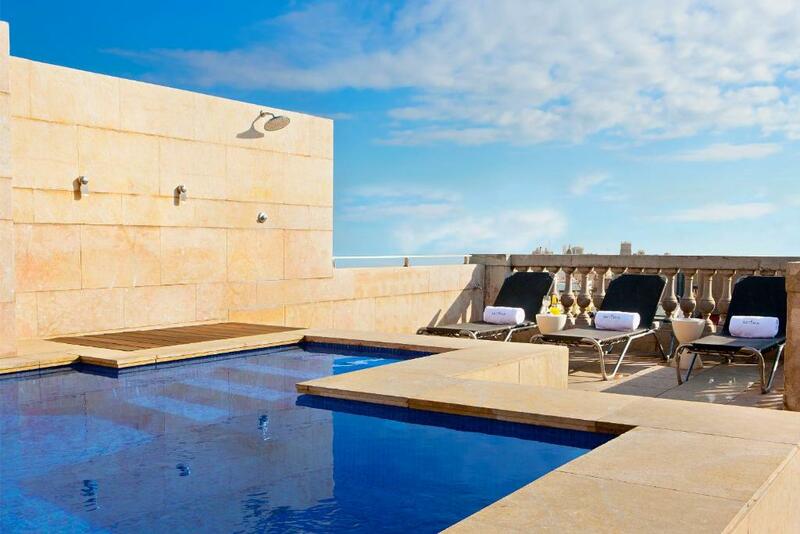 We wish we had know about the pool on the roof top terrace. I would have brought my bathers. We really loved the ambience of the hotel. 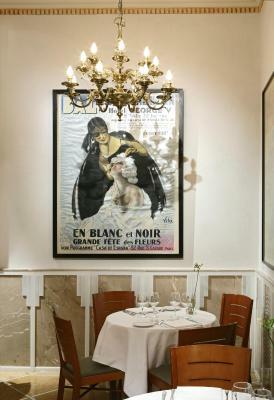 The fixtures, fittings and furnishings were just beautiful. There was a fantastic exhibition in the lobby of genuinely great art. What a wonderful place. The room is of average size. A little bit of dust. All in all it was clean. Towels changed every day. Chocolate every day. A bottle of water when you arrive. Good wi fi. No view. Hard with the heat, the AC was difficult to handle. There was no breakfast included. There was not even any tea or coffee making facilities in the room which I really missed. If you had just kept a kettle and 2 cups, that would have made a big difference to our trip. The staff at the reception - a younger man was friendly on the first day. 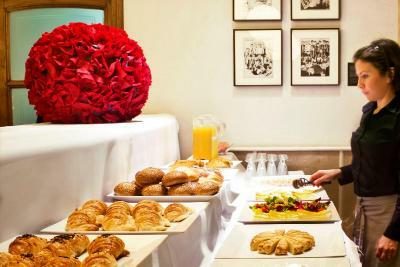 But the other reception staff who were older men and a women were not friendly. I didn't like their attitude. The only improvement I would have liked would be tea/ coffee making facilities in the room. 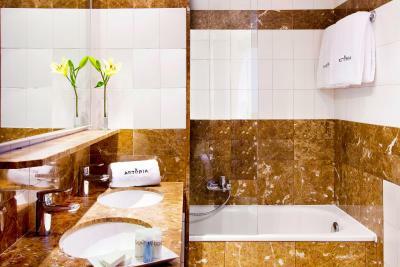 The room was lovely, the beds very comfortable and the shower and bath facilities were excellent. All the staff were really friendly and very helpful. We loved the roof pool area too.